Maine's oldest fishing schooner, Mary E, is ready for visitors to walk aboard at the Maine Maritime Museum after a year of restoration. 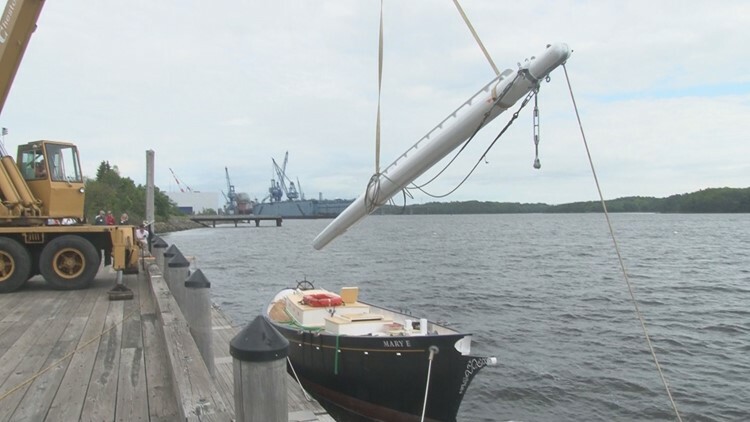 BATH, Maine (NEWS CENTER Maine) -- One year after the Mary E landed at the Maine Maritime Museum in Bath to be restored, she's ready to set sail again. The schooner was built just a mile from the museum 112 years ago and is believed to be Maine's oldest fishing schooner. Captain Dan Thompson drove the boat up the Kennebec River last July to her knew home where she would be restored. Lead shipwright, Andros Kypragoris, made sure every day inside the heated construction area was spent wisely fixing years of deterioration. Especially since 1960 when the Mary E sank in Lynn Massachusetts during a hurricane. "A lot of topside work. The previous owner had done pretty extensive work on the bottom of the boat over the last decade and sort of a multiple phase restoration of the boat, but hadn't gotten around to the top side yet," said Kypragoris. A crew of around five finished the Mary E right on schedule in time for her to be put back in the Kennebec River for charter tours this summer. The restoration project cost around $2 million. 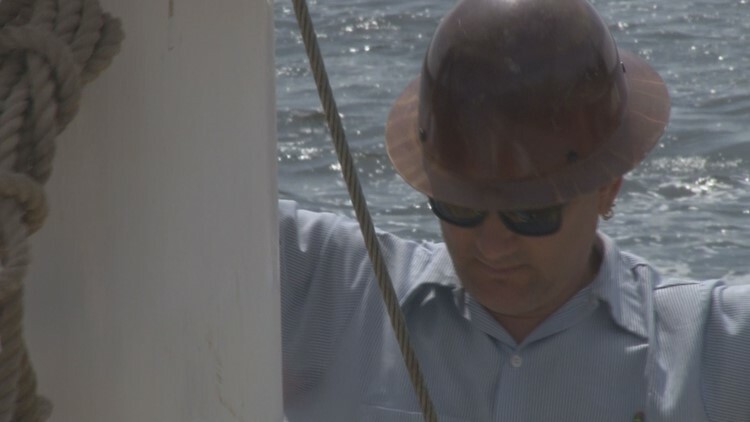 Once the sails are up and the riggings secured, Maine's oldest fishing schooner will be ready to take visitors of the Maine Maritime Museum on a ride back into history along the river where she was built, restored and where she'll stay. "A sense of what a fishing schooner in 1906 would have looked like," said Kypragoris. "A sense of Maine history." The Mary E will be participating in Schooner Fest during the Tall Ships Festival in Portland June 23 and 24. After that she'll be docked at the Maine Maritime Museum for tours seven days a week.